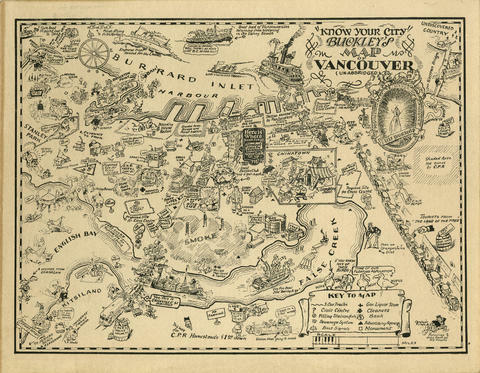 Item is an illustrated map with a farcical, cartoon-like, illustration of Vancouver. The map contains cartoonish depictions of various Vancouver "types" and neighbourhoods, as well as a key to sewerage systems, government liquor stores, and other oddities. Item has been mounted onto heavy cardboard and appears to have been framed for a number of years.